Ideal for growing plants indoors or out! 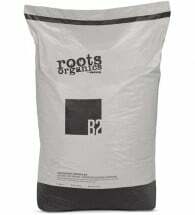 Roots Organics Potting Soil is a ready to use potting mix made from quality natural and organic ingredients. 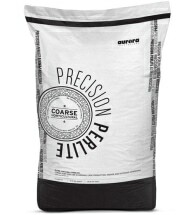 Can also be used as an additive or amendment to improve the structure of most gardens. Unique recipe enables better drainage and encourages a vigorous root structure. 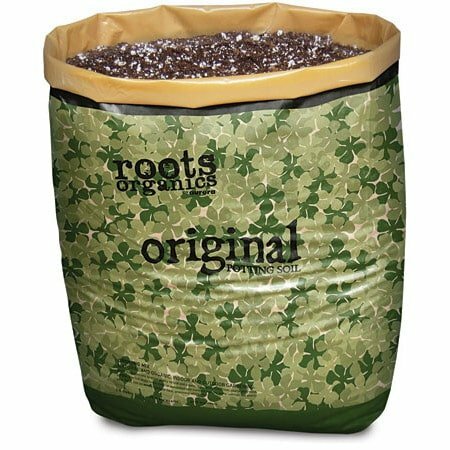 Place Roots Organics directly into a pot with drainage holes. If extra drainage is required, add a thin layer of clay pellets (Hydroton®) to bottom of container. Use enough soil to allow the top of the plant’s root ball to be about 2″ below rim of container. 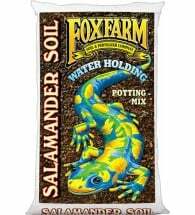 Add more soil, firming with hands until full. Insert support if necessary and water thoroughly using a light fertilizer solution. Ingredients: Coco fiber, peat moss, perlite, pumice, premium worm castings, bat guano, kelp, fish bone meal, soybean meal, feather meal, greensand, leonardite and alfalfa meal. 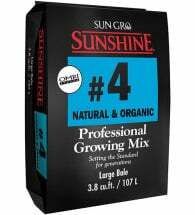 This popular potting mix is packaged in a 10 gallon ready-to-use grow bag. Just cut or poke holes and plant directly in the bag. If transplanting, reduce fertilizer use until plants show signs of growth again. Developed for optimal results with plant cuttings, hanging baskets and containers.